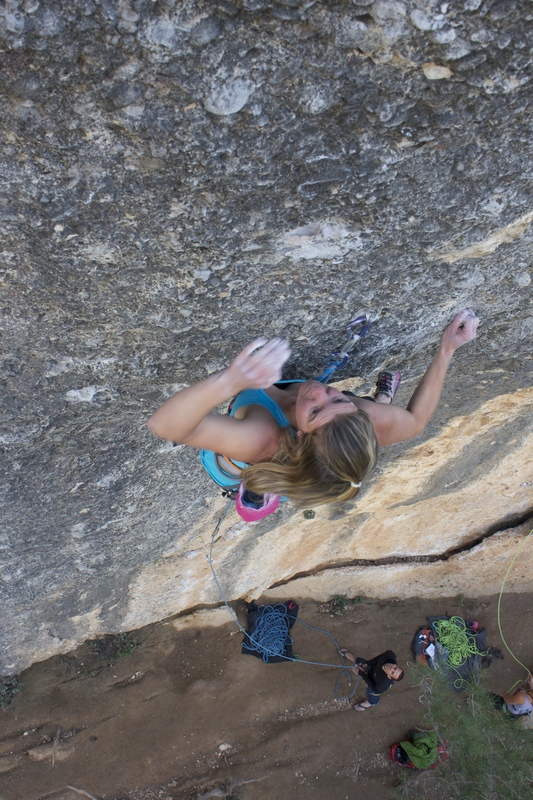 It feels so long ago that my biggest concerns were whether I should eat rice or pasta for dinner and which 3* beautiful, Spanish 7c to try next. “The future” was not an issue that often crossed my mind. 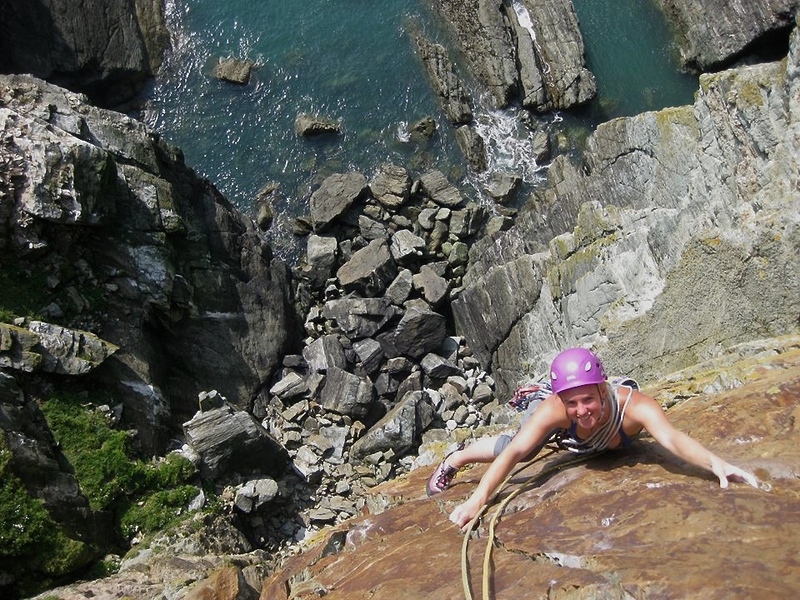 Upon returning to the UK, the prospect of “the future” and “getting a job” began to hang over me a little more heavily yet it was easy to put those on hold with so many trad routes to run around and try. The past few months, however, have been a mumble-jumble of mismatched days climbing and job searches. I’ve had a lot I’ve wanted to write about on here but it’s been hard to put pen to paper without unleashing a storm of negativity. Since I started volunteering at the Sheffield Wildlife Trust in September, my life finally feels like it has some structure, some routine; and yet there are more unanswered questions than ever. I feel lonely because I don’t know what to do with my life. A culmination of stress and a couple of bad climbing experiences means my psyche has been pretty low lately. I still love it but I’m lacking a lot of confidence. I want to rewind to September. We’re climbing at Cwm Glas Bach in the Pass. I’m persuaded into doing ‘the crag warm-up’ (El Guide Direct, E3), yet proceed to have a total ‘mare on it. Almost in tears, I really want to back off it, I know I can do it, but the holds are too slopey and I’m angry at Tim at telling me I would be fine (although I’m more angry at myself for being scared and not feeling ‘fine’). I eventually get up it and enjoy some brief respite while Tim quickly dispatches an old nemesis route. Then it’s my turn again: Rimsky Korsakov. This E4/5 climbs a fairly steep wall with good but spaced gear. It’s meant to be ‘ok if you’re fit’. I know I really should get on it but I’m still feeling upset by my struggles on the “warm-up”. I’m beginning to sense that I’m probably feeling a bit tired in general and stressed with issues unrelated to climbing. 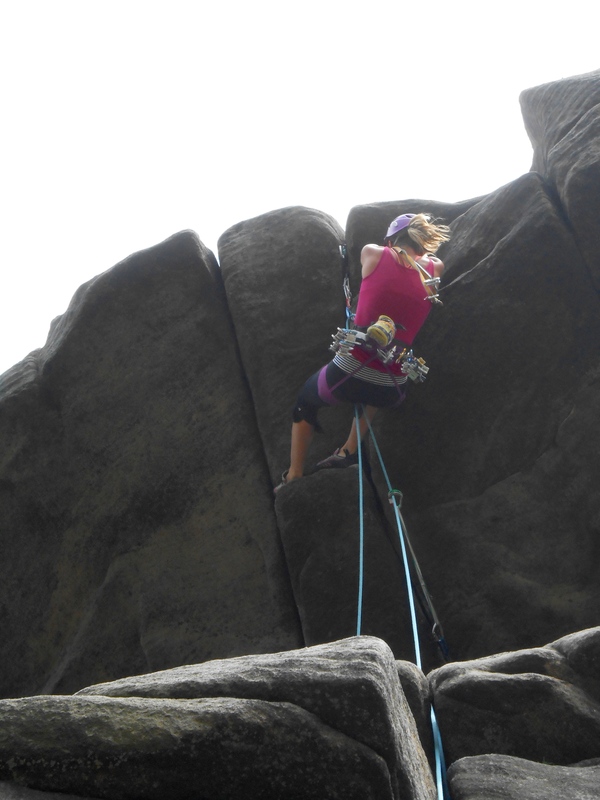 However, I really don’t want to let personal issues interfere with my climbing so I decide to give it a go anyway. I knew that I’d made the wrong decision from my first step off the ground. I lacked all confidence in my own ability, paralysed in place on the rock, progress slower than the growth of lichen. Eventually I did one of those horribly mortifying DNFs (although perhaps I should rename it DNC – did not commit). 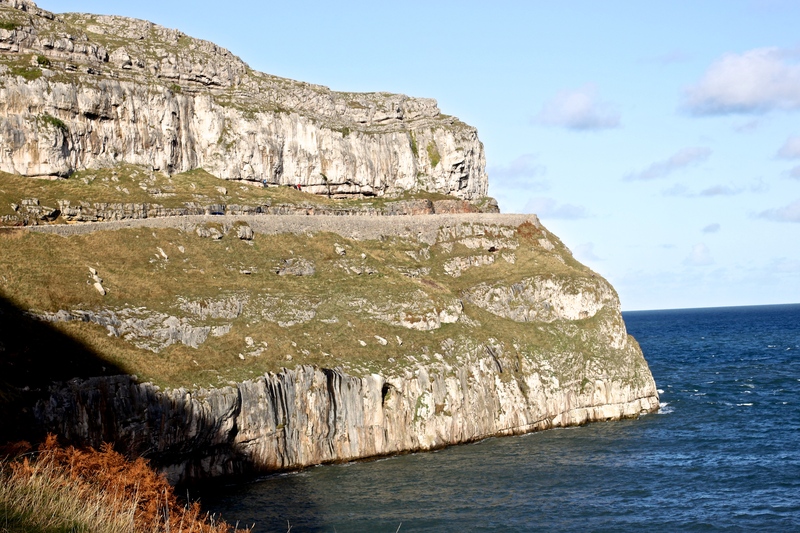 The next day is wet in the Pass so we head to the always sunny, queen of sea cliffs – Gogarth. We decide to do Fantasia, an E3 on Red Walls. I only had my first Red Walls experience a few days ago but so far so good. I start up the E3 but it does not begin well. The horribly sandy cave takes me forever to paw my way into, before the mentally taxing head wall began. I teeter up the wall painfully slowly until reaching a miniscule ledge a few meters from the top. This 100 cm² piece of sanctuary is such a relief, I cannot bare the thought of leaving it. 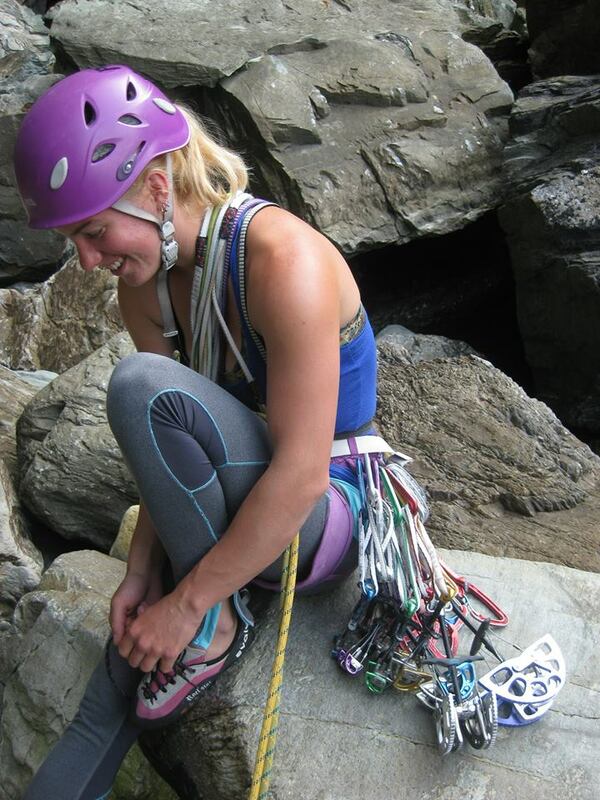 I don’t trust my last few pieces of gear (or the rock they’re in) and I don’t trust myself to do the next few moves. 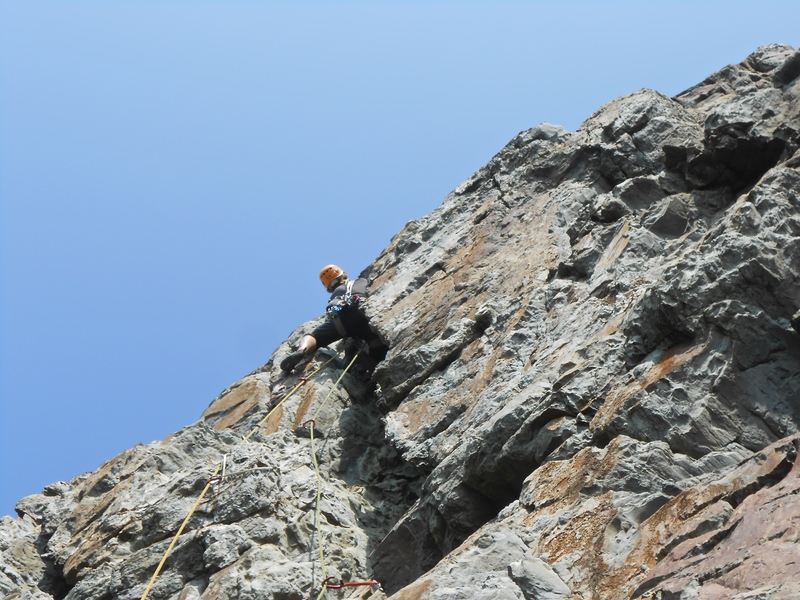 A lady abseiling past me, suggests I just bail down the ab rope (conveniently just within reach), an option I hadn’t even considered! The ropes were just long enough, thus an abseil of shame ensues, and the rest of the day is spent eating ice-cream that I definitely don’t deserve. Tim inside the Mantrap (E3). Following those few days it would be easy to say that I haven’t been climbing my best. The stress of life and work has been a major factor. It’s been difficult to stay positive. 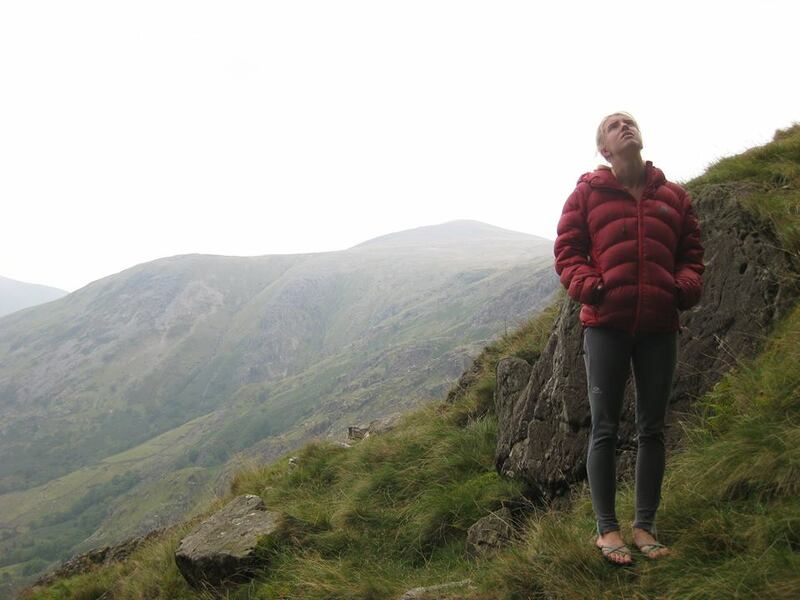 My climbing has been lacking a particular focus, so perhaps it is a little unfair to keep telling myself how rubbish I am, yet my current state of mind just craves self-pity. Despite this lack of focus and despite the acquisition of several stupid minor injuries from the return to indoor climbing, I have managed a couple things I’m quite proud of. Historically I would have been very proud, but, perhaps because I’m spoilt from a summer of climbing so many dream routes, my current achievements pale in comparison. C’est la vie.